Installation is complete! 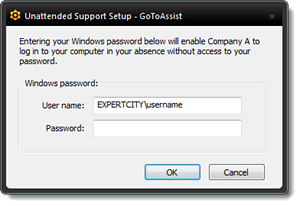 A confirmation message will appear letting you know that the password has been successfully stored. Please e-mail our technicians at data@proquotes.net to let them know that your connection is ready to go.